← Los Angeles Angels of Anaheim: 2012 World Series contenders? Major League Baseball had just finished a 3 year ownership stint with the Montreal Expos and had finally chosen Washington as its destination of relocation. A deal had been reached to build a new baseball stadium on S. Capitol Street and have the Nationals as the main tenants. Major League Baseball would see the team through the first few seasons before selling to Billionaire Ted Lerner in 2006. The Nationals would see the debut of their new park on March.30/2008. As for the play on the field. The Nationals had jumped out to an incredible 50-31 start to lead the NL East in the 2005 campaign before ending up at 81-81 by years end. The team had plenty of talented players left over from the Expos like: Jose Vidro, Brad Wilkerson, Livan Hernandez and Chad Cordero to close things out. Frank Robinson had done an admirable job in leading the new Washington team. Alfonso Soriano was their best player in 2006 and on his way to become the third player to hit 40 HRs and steal 40 bases in one season. Despite this, the club retracted to a 71-91 record before losing Soriano to free agency. In 2007, the team parted with 4 pitchers including Livan Hernandez en route to a 73-89 season. Dmitri Young was the lone stand out hitting .320 for the year. 2008 saw the Nats move in to Nationals Park, however they compiled 103 losses that season. In 2009, they finished with the exact same record of 2008, yet the team showed promise by winning their last 7 games. 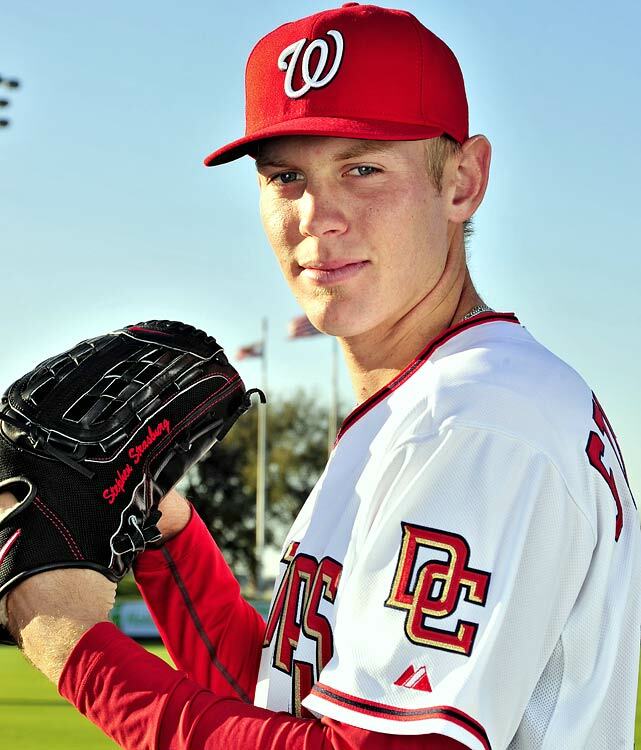 The team converted the 1st overall pick to draft Stephen Strasburg. The team also had the 10th pick in the draft and selected Drew Storen. Adam Dunn and Ryan Zimmerman were a great 3-4 punch in their lineup. In 2010, the team drafted Bryce Harper with the 1st overall pick. Strasburg came up and made his debut, striking out 14 batters in 7 innings. Later in the season Strasburg underwent Tommy John Surgery. The club improved by 10 wins and finished 69-93. Prior to the 2011, Ted Lerner gave the go ahead for the management to go on a spending frenzy. The team signed Jayson Werth to a 7 year/126 Million Dollar contract and also picked up Jason Marquis and Adam LaRoche to replace the departed Adam Dunn. Skipper Jim Riggleman had the club in contention at 38-37. This came even with Werth’s disastrous 1st season with the club. Riggleman would quit the team when he was not given a contract extension, thus leaving a managerial vacancy which Davy Johnson took over and the team ended up 80-81 for the year. Strasburg started a couple of games in September to show he had made a full recovery. The club’s future was becoming a bright one. Ian Desmond and Danny Espinosa were maturing. Wilson Ramos had hit 15 HRs in his first season as the clubs #1 catcher. Drew Storen had finished the year with 43 saves. Mike Morse had rounded into a great offensive contributor, piling up a .303 average with 31 HRs and 96 RBI. 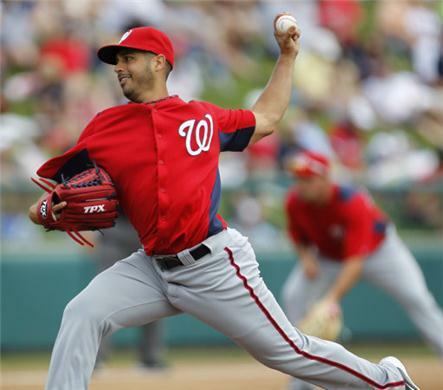 The 2012 Nationals were given a boost by the acquisition of starting pitcher Gio Gonzalez and Jordan Zimmerman finally looked healthy. Adam LaRoche and Ryan Zimmerman were coming off of injury problems, however there was reason for optimism. Bryce Harper would be coming at some point early in the season. Desmond, Espinosa and Ramos were another year older. Jayson Werth had nowhere to go but up after his 1st year numbers. Drew Storen started the year on the Disabled List. Soon Wilson Ramos was gone for the year. Mike Morse and Jayson Werth were also hurt early in the season. Ryan Zimmerman and the rest of the team struggled at the plate. Before the year had started, the management team and ownership was taking severe criticism for failing to sign Prince Fielder and sticking with 1B Adam LaRoche. That is when Laroche decided to reward them with 15 HRs and 53 RBI thus far. Bryce Harper was called up in early May and has delivered 28 extra base hits in 68 games while hitting .275 and scoring 44 runs. Harper has stolen 11 bases and has shown his baseball acumen years above his 19-year-old body. Morse has shown his beast mode since returning to the lineup in batting .337 the last month with plenty of power. The pitching staff, has been anchored by Gio Gonzalez, (12-4 with a 2.93 ERA) and Stephen Strasburg (10-4 with a 2.66 ERA). The club has had stellar efforts from all of their chuckers and lead all pitching categories in the Majors. The Nationals are leading the NL East Divison by 3.5 games over the Atlanta Braves with an NL Best 52-36 record. Drew Storen is expected to come back pretty soon. Off Season signing Edwin Jackson has provided steady innings along with Jordan Zimmerman and Ross Detwiler. The bullpen has been lights out with Tyler Clippard and Henry Rodriguez holding down the closers role until Storen gets back. I think the Nationals will make the playoffs for the first time since the 1981 season when they were the Expos. COMING SOON: Part 5 of the Nats/Expos Article Series in which I gave my best 25 Man Roster for the Washington Nationals from 2005-2012! Bryce Harper had helped out the Nats offense since he was called up in early May. 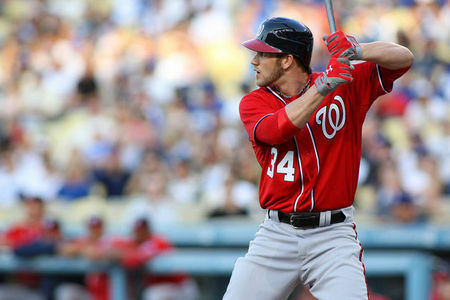 Will the teenager keep up his strong play in the 2nd half and win the ROY Award while leading the Nats to the playoffs? Posted on July 20, 2012, in The Rest: Everything Baseball and tagged adam dunn, adam laroche, bob allison, bob short, brad wilkerson, bryce harper, chad cordero, Chuck Booth. 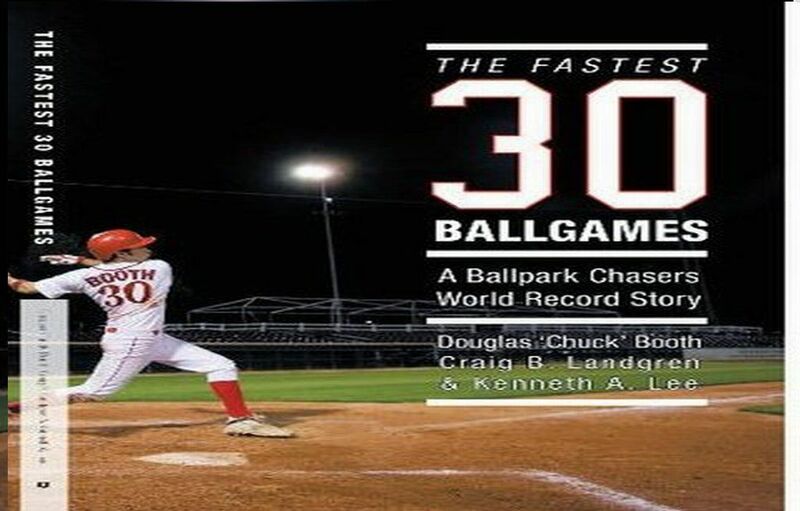 fastest 30 ballgames, danny espinosa, davey johnson, dmitri young, drew storen, edwin jackson, facebook, frank robinson, gio gonzalez, henry rodriguez, ian desmond, jason marquis, javier vazquez, jayson werth, jim riggleman, jordan zimmerman, jose vidro, livan hernandez, los angeles angels, Mike Morse, minnesota twins, montreal expos, nationals park, prince fielder, ross detwiler, ryan zimmerman, stephen strasburg, Ted lerner, ted williams, texas rangers, twitter, tyler clippard, walter johnston, washington nationals, washington senators, Wilson Ramos. Bookmark the permalink. 5 Comments.